As we all know, I have been messing about with this internet business stuff for a while now. As I am now starting to have some actual success with it, I keep telling friends and family that they should give it a shot. Many are a bit reluctant it seems. Yeah, I know most of the stuff you see looks like a scam, and probably is. But at the very least it's a fun hobby that might make you a few bucks. take unto himself a young wife by the name of Dot. 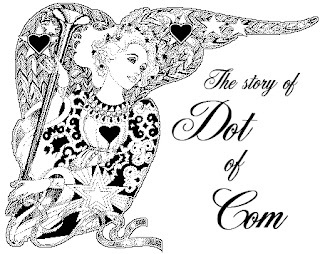 And Dot of Com was a comely woman, broad of shoulder and long of leg. Indeed, she had been called 'Amazon Dot Com'. all the goods he had at the top price, without ever moving from his tent. did take to Dot Com's trading as doth the greedy horsefly take to camel dung. only with Brother Gates' drum heads and drumsticks. And that is how it all began."